A daring suicide bombing in the city of Taraz looks likely to have been aimed at the Kazakh security services. Kazakhstan was stunned on Saturday by a daring suicide bombing in the southern city of Taraz, which lies close to the border with Kyrgyzstan. 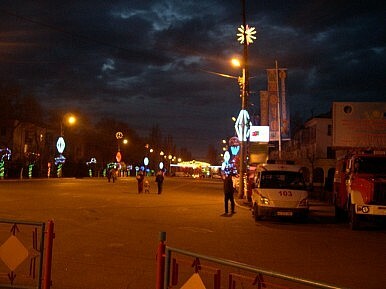 Seven people, including the bomber, were reported killed in the brazen attack, which was quickly condemned by senior Kazakh government officials as an “act of terror.” State security forces accounted for five of the deaths and appear to have been targeted in the attack, which happened in front of the national security committee building in Taraz. Kazakhstan’s deputy prosecutor general Nurmukhanbet Isayevlabeled the bomber as a “follower of jihadism,” but has yet to confirm whether the attack is linked to last month’s bombing in the Western city of Atyrau on the Caspian Sea. The attack in Atyrau was reportedly committed by the Islamist group Jund al-Khilafah (JAK), which aims to create an Islamic caliphate in the region. The city is strategically important to Astana as it positions Kazakhstan to compete with energy exports from the Middle East and Russia.Moreover, it has recently been a focal point for foreign investors with South Korea committing billions to construct apetro-chemical compound outside the city. While the nature of the attack was similar to previous JAK operations, it remains questionable whether the small terrorist outfit is able to effectively operate all over the country. Up until this point, most of JAK’s activities have been focused in Afghanistan, where it fights alongside a collection of other jihadi groups. However, the group has been increasing its presence in western Kazakhstan, and the most recent attacks seem to signal its response to Astana’s tough new counterterrorism laws. The flurry of small attacks threatens to stain Kazakhstan’s reputation as the most secure and credible partner amongst the former Soviet republics in Central Asia. Kazakhstan remains a key location for foreign investment due to its wealth of energy resources, geostrategic location and its relative stability in the region.